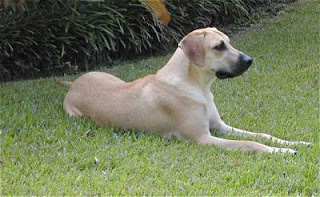 The Black Mouth Cur breed emerged in the Southern United States of America. It is multitalented breed which is primary used as guard dogs because of their ability to hunt mountain lions. Moreover, they can also hunt squirrel, raccoon, bear, boar etc. Apart from this they are loving family dogs willing to do anything in order to protect the owner. Their average life span is 12-16 years. Although this breed has no known health issues, but may suffer from entropion. Moreover, they can suffer from torn ligaments and pulled muscles because of their lively character.